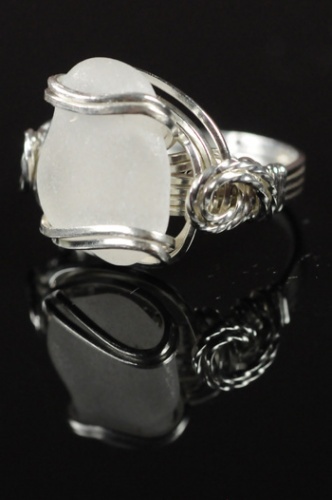 This piece of seaglass is pure white in color and looks so pretty with the silver draping around it. Some of the scroll work has twisted wire curls around it making it more elegant. Unique and one of a kind. Size 7 1/2.